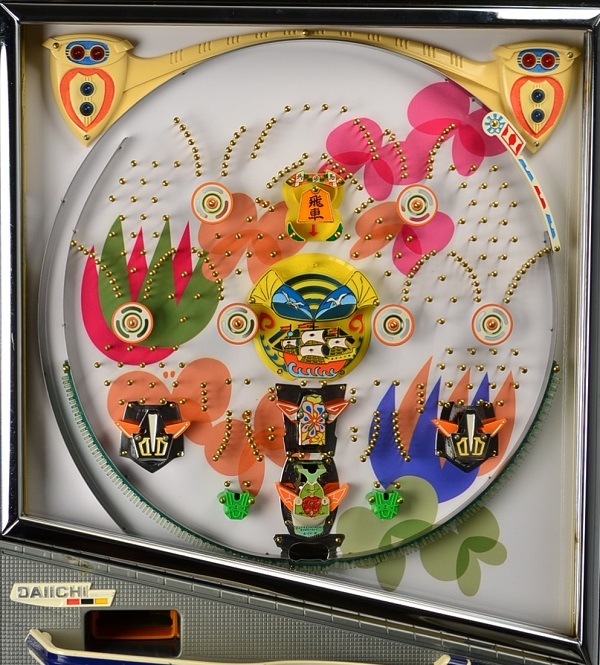 Pachinko Planet is proud to offer this beautiful 1975 Vintage Daiichi New Vanguard Derby Pachinko Machine. It has been custom built into a wooden cabinet and stained to a pleasing mahogany. 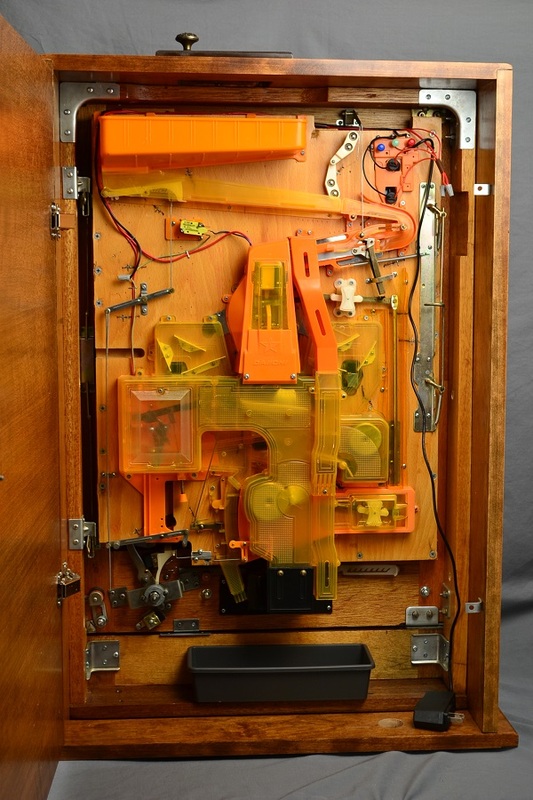 It is fully functioning mechanically and although power is not required, the low reward tray light and jackpot lights have been modified to run on a 9VDC battery and do function perfectly. An on/off switch has been added to save on battery life. 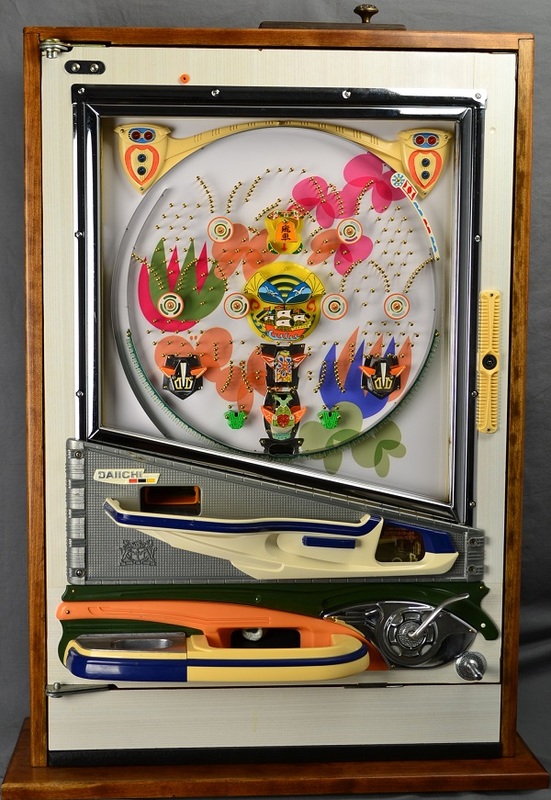 This vintage Pachinko Machine does have wear and aging typical for machines of this age and vintage, discoloration does NOT affect play. It has been restored to a very high level, and is in an amazing condition for it's age. There will be minor imperfections.